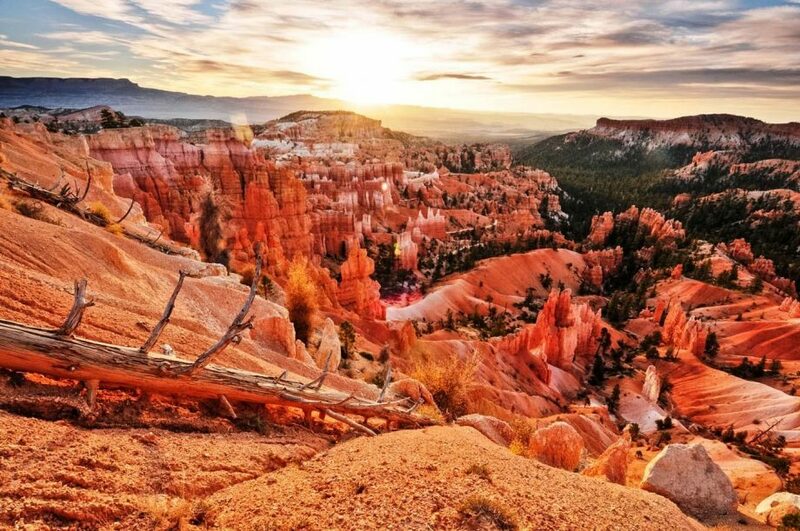 This Bryce Canyon National Park hiking trip spends 3 unforgettable days hiking among Bryce’s picturesque hoodoos and camping out beneath the glow of the Milky Way. Bryce Canyon is one of Utah’s greatest natural wonders, offering challenging hikes and scenic views of towering rock spires called “hoodoos.” These intriguing formations decorate our hikes as we explore the best of Bryce Canyon’s trails by day, and marvel at some of the best stargazing in the country by night. 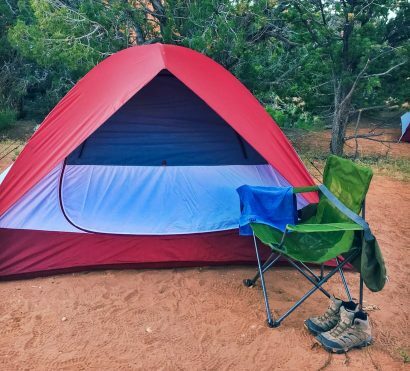 AOA’s Bryce camping accommodations are comfortable and inviting, allowing even the first-time camper a relaxing and fulfilling experience. Nights are filled with laughter around the campfire, reliving memories from our day’s hikes, and enjoying colorful sunsets that fade into a sea of bright stars. Do you have five minutes to save $25? Use the promo code 25for5 at checkout and get $25 per person off your trip price when you take 5 minutes to complete your guest profile and sign your waiver! Profiles and waivers are due no later than 1 week after booking to cash in on this promotion! See our Promos & Discounts page for a list of multi-day trip promotions that may apply! 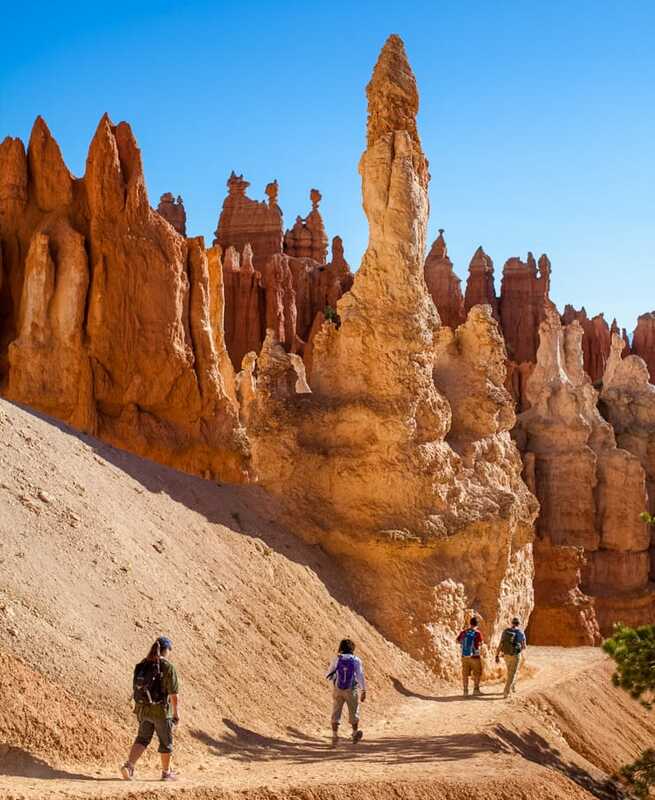 Enjoy one of the least visited of Utah's National Parks on the Bryce Canyon National Park hiking tour and experience the the best hiking in the park. Bryce Canyon is not a very large park, but it jam-packed with interesting trails, unique views, and unique geology at every turn. Enjoy a fun weekend camping in the national park, enjoying starry night skies, and hiking among the hoodoos. 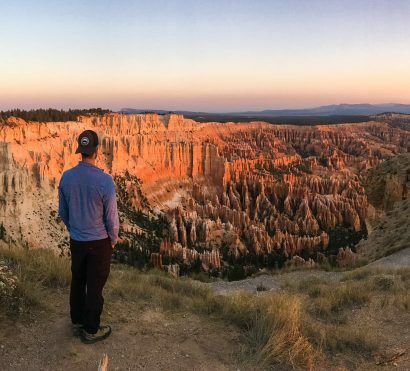 There are plenty of things to do in Bryce Canyon beyond hiking, if you’re interested in a more multi-sport trip, check our our Bryce Canyon Lodge customizable trip! Trip Start: Meets at the Bryce Canyon National Park Visitor Center at 12:30 pm on day 1. Trip End: Finishes at Bryce Canyon National Park Visitor Center between 1:00 and 3:00pm on Day 3. 12:30pm – Meet your guide and fellow travelers at the Bryce Canyon Visitors Center. After a short lunch and orientation, the day’s adventure kicks off on the rim of Bryce Canyon amphitheater for the view you came to see! Stretch your legs as we embark on a scenic loop hike among the hoodoos. 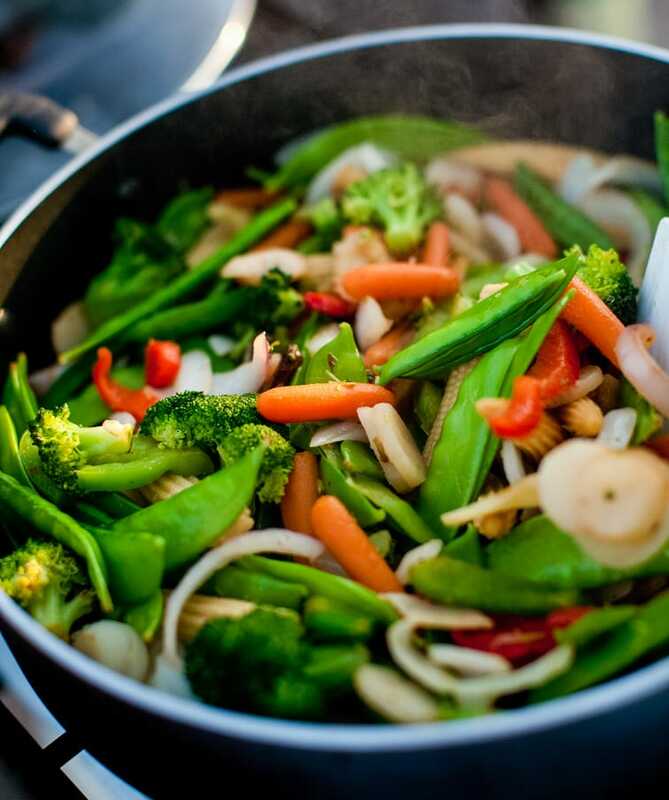 After our hike, we head back to camp to enjoy a delicious dinner prepared by your guide. 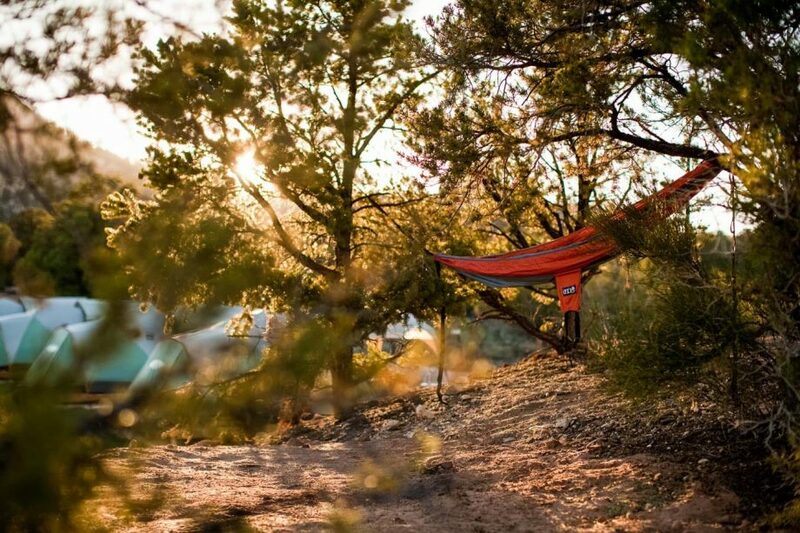 Relax around the campfire and get to know your fellow travelers. Wake in camp to fresh coffee and a hearty breakfast to prepare you for an adventurous loop hike below Bryce’s rim on the Fairyland Trail. This hike begins with a stretch of trail that take us along the canyon’s edge and offers expansive views of central Utah. 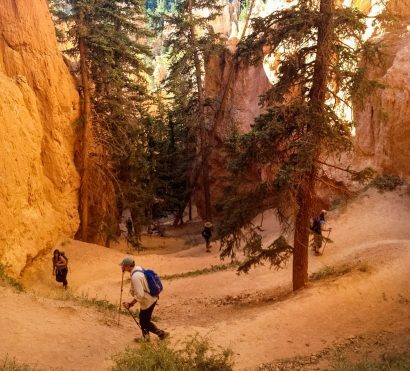 At Fairyland Point, the trail drops in elevation, descending into the other-worldly terrain that is characteristic of Bryce Canyon National Park. This trail offers extraordinary scenery and the added benefit of being off the beaten path for most park visitors. After completing the hike, we return to camp for dinner and conversation around the campfire. We rise for an early morning to catch a must-see sunrise from the rim of Bryce Canyon before the last day of our hiking trip. The day starts with a light breakfast in camp, then we head to a magnificent vista that will give us the best view of the Bryce Amphitheater. The hoodoos change into a rainbow of color more magnificent than the colors of the sunrise itself as they are lit up by the first rays of the morning sun. Once the day has fully begun, we will venture once again below the rim to explore more of this geologic wonderland up close. After completing our hike, we will enjoy a celebratory final lunch at the historic and architecturally-unique Bryce Canyon Lodge before saying goodbye to our fellow travelers and this iconic national park. Cell Service & Electricity: While camping at in Bryce, you will only have electrical outlets in the public restrooms at the campground. Bring a portable phone charger so you’re not reliant on this power source. 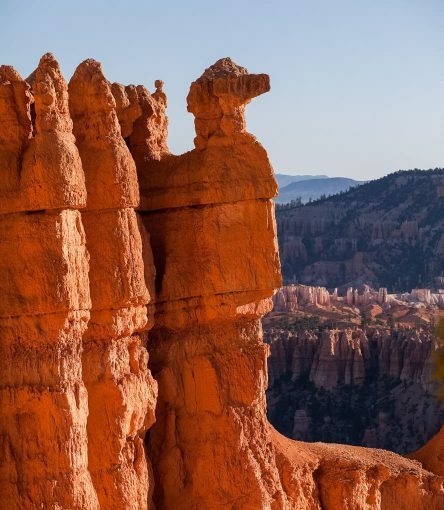 Cell service is quite limited at Bryce Canyon National Park and the nearby areas. You should expect to be unreachable for the duration of this trip. Bryce Canyon is at an elevation of approximately 8000 ft, which adds an extra measure of challenge to the hikes we do on this camping trip. The high elevation, desert sun, and dry air will really dry out your skin and can crack your lips, be sure to bring sunscreen and lip balm and stay hydrated while hiking in Bryce. Guest will need only the ability to ride on mostly level roads/streets/pathways or on mountain bike trails with rolling hills and no technical obstacles. Elevation change is minimal and distances could range between 0 and 15 miles per day for road, or 0 to 8 miles per day for mountain. Guests have the ability to travel at their own speed and/or reroute/shorten a route as they see fit. Guest will need the ability to ride on well-maintained roads/streets/pathways or on mountain bike trails with easy-to-navigate obstacles. Elevation change is minimal to moderate and distances could range between 15 and 25 miles per day for road, or 8 to 10 miles per day for mountain. Guests have the ability to travel at their own speed and/or reroute/shorten a route as they see fit. Guests will need the ability to ride on well-maintained roads/streets/pathways or on mountain bike trails with moderately challenging obstacles. Elevation change is moderate and noticeable on some climbs and distances could range between 25 and 50 miles per day for road, or 10 to 20 miles per day for mountain. Guests are generally travelling at a group pace but have the ability to rest on demand and/or reroute/shorten a route for most of the rides. Guests will need the ability to ride on well-maintained roads/streets or on mountain bike trails with moderate to advanced obstacles. Elevation change is aggressive either overall or on specific challenge climbs and distances could range between 40 and 75 miles per day for road, or 20 to 30 miles per day for mountain. Guests are travelling at a group pace and may sometimes have the ability to shorten a route. Guests will need the ability to ride on well-maintained roads/streets or on mountain bike trails with advanced obstacles. Elevation change is aggressive either overall or on specific challenge climbs and distances are often over 75 miles per day for road, and 30 miles per day for mountain. Guests are travelling at a group pace and may sometimes have the ability to shorten a route.